Dr. Gurdip Singh Batra is Professor and Director, Centre for Business Policy Research and Development at Punjabi University, Patiala. He coordinated a course on Corporate Entrepreneurship at the Wilkes University, Pennsylvania USA. He is visiting faculty at the University of South Pacific Fiji, Samoa and Kingdom of Tonga. He has more than 34 years of research, training, consultancy and academic experience. He has about 20 books and more than 100 research papers published to his credit in various national and International journals of repute. He did his post Doctoral research on Corporate Financial Reporting from the College of Business Administration; University of Illinois at Urbana-Champaign, USA in 2002. He is Commonwealth-AMDISA Fellow and worked on a research project on Environmental Disclosures at National University of Singapore and University of Malaya, Kuala Lumpur, Malaysia. 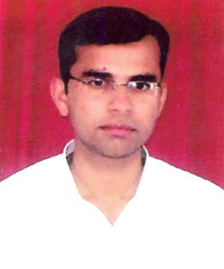 He has worked on a UGC major research project on Entrepreneurship Development in Small Scale Industries. Presently he is working on a research project on Impact of Information Technology on Capital Budgeting and Management Accounting: Evidence from Indian Companies, jointly with School of Accounting and Law, RMIT University, Melbourne, Australia. He was conferred with the Young Researcher Award by the Indian Accounting Association. He has been a member of Syndicate, Senate and Finance Committee of Punjabi University. He is member of academic and administrative bodies of various universities and Institutions in the country and abroad. He teaches in the area of Finance and Accounting. Dr Gurcharan Singh is currently holding the position of Professor in School of Management Studies, Punjabi University Patiala in Punjab. He is qualified in diverse areas like MA Economics, LL.B. M.Com PG Diploma in Management of Public Enterprises, PGDCA and PG diploma in Journalism and Mass Communication and Doctorate in Management. Dr Gurcharan Singh has been in the teaching profession for last 24 years. Dr Gurcharan Singh has got to his credit 100 publications in reputed National and International journals and has also published six books. He participated in more than 150 conferences/seminars of National and International repute at various positions like resource person co-chairperson, chairperson and Keynote Addresses. Dr Gurcharan Singh has handled one minor UGC research project and working as Deputy Coordinator SAP programme in the department. He is also members of number of professional and academic bodies and has served Executive Member of Indian Commerce Association. He frequently participates in debates on social and political issues in electronic media, TV and radio. Dr Gurcharan Singh teaches Business Administration classes and handles subjects in the area of finance and strategic management. He travelled widely to different parts of the world for mutual exchange programmes and participating in conferences/seminars. He teaches in the area of Finance and Strategic Management. 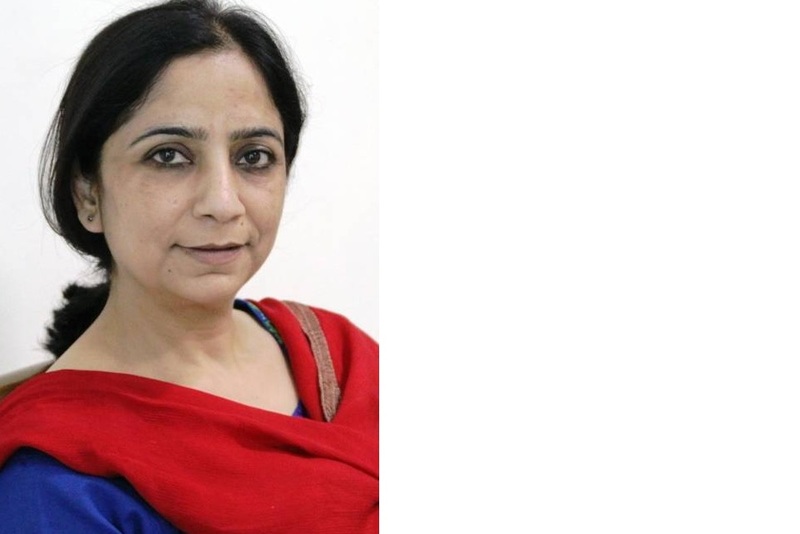 Professor (Dr) Navjot Kaur has been teaching at SMS for last two decades in the areas Human Resource Management and Business Strategy. Her other areas of interest are Marketing Research, Organizational Behavior and Industrial Psychology. She has published a book on ‘Managing Power Systems’, and has more than twenty published research papers to her credit, including for international organizations like IEEE, ILPC etc. She has presented research papers at various international conferences including, at Iowa State University and Rutgers University, USA. She also presented a paper at AMDISA conference held in Tribhuvan University, Nepal. She has been on the editorial board of ‘Indian Management Studies Journal’. She has completed a Post Doctoral Research project on ‘Evaluation of Customer interruption Cost for Reliability Planning of Power Systems in India’ sponsored by UGC. Ten candidates have completed their PhD under her supervision. She coordinates the MBA dual degree programme being run in collaboration with Wilkes University, USA, and is also their adjunct faculty. She teaches in the area of Human Resource and Strategic Management. 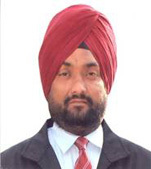 Dr Amar Inder Singh is Masters in Business Administration and Doctorate in Business Studies from Punjabi University, Patiala and is presently serving as Professor in School of Management Studies. Having a teaching experience of about 19 years under his belt, he is a personality to reckon with in the field of Business Ethics & Values, Marketing Management, Indian Economy and International Business. His doctorate is in the highly crucial area of Power Sector and it relates to India’s immense power requirements in present and future. Dr. Amar Inder Singh has done pioneering work relating to impact of Planned and Unplanned Electricity Interruptions and calculated the different kind of losses because of them in case of Domestic and Agricultural electricity consumers. He has published more than 20 Research papers in Journals of International and National repute. He teaches in the area of International Business and Economics. 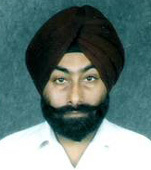 Dr. Rajwinder Singh is a graduate (Mech. Engg.) from Thapar University, Patiala, Masters in Business Administration from Punjabi University, Patiala and Ph.D. from Guru Nanak Dev University, Amritsar. He has completed 4 research projects and contributed many papers in the leading journal and conferences. He held the responsibilities of department I/C (Mechanical Engineering/ Management), Resident Engineer, Estate Officer, Warden, G-I officer in Army, Member Board of Studies, Member ACD, and Coordinator (Student Activities). His area of research is Operations Management. Dr Sandeep Virdi, is presently working as an Assistant Professor in School of Management Studies, Punjabi University, Patiala, Punjab. He specializes in the areas of Quantitative Techniques and Operations Management. 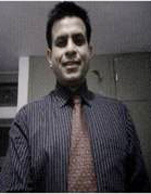 Sandeep is an MBA from Punjabi University, Patiala and a BE in Mechanical Engineering from Thapar University, Patiala. 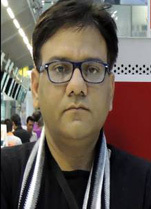 He completed his Doctorate from Punjabi University, Patiala and had focused his research on the topic of ever-emerging subject matter of Shopping Malls and Hypermarkets. His teaching domain lies in the subjects of Operations Research, Research Methodology, Business Statistics and Production Management. He has worked in Manufacturing Industry for more than 3 years in the capacity of Production Manager, Jindal Strips, Mumbai, and Project Coordinator, R&D, Hero Cycles, Ludhiana. Having ample industrial experience, Sandeep started teaching and now has been teaching & researching for the last 14 years. He has several research publications to his credit in leading national journals and edited books. He has participated and presented papers in several National & International Conferences, Seminars etc. Besides, he is guiding 7 PhD scholars and has guided several research projects of students in his areas. He teaches in the area of Operations Management, Management Science and Business Statistics. Dr. B.B.Singla, working as Assistant Professor, is Masters in Business Administration and Ph.D from Punjabi University, Patiala, and Qualified UGC-NET. He has also done M.Sc (Computer Science), Post-Graduate Diploma in Operations Management (PGDOM), Diploma in Information & System Management (DISM) and an e-Program on Marketing and Communication. He has about 19 Years Teaching Experience. He has more than Seventy Research Papers, Three edited books and Ten subject books to his credit. He has completed a Post Doctoral Research Project sponsored by ICSSR in 2018 as Principal Investigator. He is working as 'Vice-President' of Punjab Commerce & Management Association (Regd.) since 2017 and 'Managing Editor' of the PCMA - Journal of Business (A Refereed Bi-annual Journal of Management & Commerce) since 2008. He has also worked as 'General Secretary' of Punjab Commerce & Management Association (Regd.) from 2006 to 2017. He has attended/ participated/organized various National / International Conferences / Seminars / Workshops / Faculty Development Programs etc. He has also acted as Chairperson/Co-chairperson/Panelist/Key Speaker in various international and national conferences. Dr. Singla has been awarded as the ‘Young Researcher Award’ by the Himachal Pradesh Commerce and Management Association (HPCMA). He is on Panel of many journals as advisor and referee. He has successfully guided 19 (Nineteen) Ph.d scholars till date and 9 (Nine) more are pursuing their research under his supervision. He is successfully running an exclusive program to help the young students and scholars under the banner of ‘Shaping Young Minds’. His main research areas include Consumer Behaviour, Services Marketing and Emerging Marketing Issues. He teaches in the area of Marketing Management/Organizational Behavior. An Alumnus of Guru Nanak Dev University, Dr. Satinder Kumar is a Management post graduate, specializes in Marketing and graduate in commerce. He has qualified two times NET and done Doctoral degree in the area of “Ethical Issues in E-Marketing” from Guru Nanak Dev University, Amritsar. Dr. Kumar has been a Assistant Professor in the area of Marketing at School of Management Studies (SMS) since 2009, prior to joining SMS, he was Project Coordinator (General) in Education Department where he serve around five years. He has more than eight years of experience in teaching and research in the field of marketing management. Dr. Kumar area of research involves E-Marketing, E-Retailing, M-Marketing and Online Marketing Consumer Behaviour. His core subjects for teaching are Marketing Management, Services Marketing, Marketing Research and Project Management. He has published more than 20 articles/research papers in a wide range of leading management and psychology journals. He has participated in various FDPs and workshops & presented papers at National and International conferences/Seminars. He is on Panel of many journals as Research Advisor. He teaches in the field of Marketing Management and Project Management. 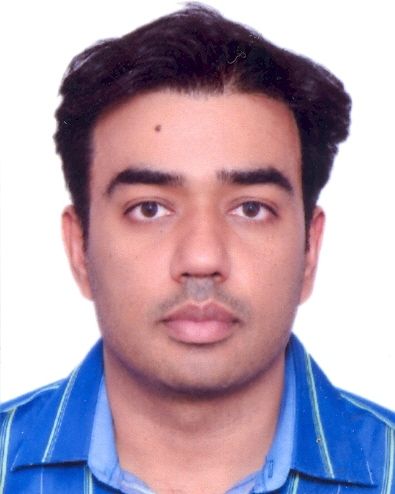 Vikas Singla is currently holding the position of Assistant Professor in the School of Management Studies at Punjabi University, Patiala, India. He has been in teaching profession for last eight years. He teaches Business Administration classes and handles subjects in the area of business statistics, research methodology and operations management. His research areas are branding and location analysis. He teaches in the area of Operations Management, Research Methodology and Business Statistics. Dr. Apar Singh is currently holding the position of Asst. Professor in the School of Management Studies at Punjabi University, Patiala, India. Dr. Apar Singh has been in the teaching profession for last 14 years. 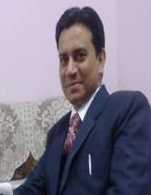 He has an industrial experience of more than five years with Indian express, Mukat group and with Blue Indus Corp.(USA). His research areas are subscriber churn and consumer behavior. He teaches in the field of Marketing and Strategic Management. 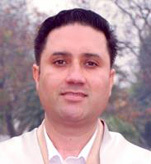 Dr. Liaqat Ali is a faculty at School of Management Studies, Punjabi University, Patiala, India. He has been in teaching profession for more than nine years. His areas of interest include International Corporate Finance, Business Accounting, Strategic Cost Management, E-governance and Corporate Environmental Accountability. He has participated in several Faculty Development Programmes (FDPs). He has published numerous research papers in various national and international journals of repute and also presented research papers in national and international seminars/conferences. Dhiraj Sharma, a doctorate in the area of Banking Technology, holds three masters in the area of Finance, Commerce and Business Administration respectively. Presently, he is also the Principal Investigator of a UGC’s Major Research Project. He has fourteen books and more than two dozen of published research papers to his credit. Many of his books are serving as text and reference books for many post-graduate courses in Indian colleges and universities. He has independently developed many course books for several institutions notably among them are: Punjab University, Chandigarh; All India Management Association (AIMA), New Delhi; Indian Institute of Materials Management (IIMM), Mumbai; Bangalore University, Bengaluru. He has worked as Managing Editor for a refereed national research journal for over a period of five years. For the last sixteen years, he is actively involved in writing, teaching and research in the diverse areas of Business Management and Information Technology. He teaches in the field of Finance and Accounting. 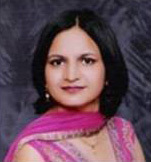 Dr. Ratinder Kaur holds two masters in the area of Commerce and Business Administration. She also holds a Masters of Philosophy (M.Phil). She has 19 years of teaching Experience in Finance and Marketing. She has done her Doctoral Degree in the area of Business Process Reengineering. 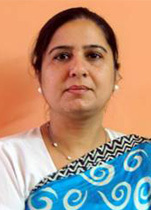 She has also acted as Principal-In charge of off-campus programmes of Guru Nanak Dev University, Amritsar. During her more than nineteen years of academic experience, she has attended and organized a large number of seminars and conferences. She is actively involved in soft skills and Gender Sensitization workshops of students and associated with institutes of repute as guest faculty. She has engaged 30 workshops and 5000 students to bring change in the mindset of young students. Her areas of academic interest include Change Management, Innovation Management, Accounting and Consumer Behaviour. She is Life time member of Patiala Mangement Association(PMA) and Indian Commerce Association(ICA). 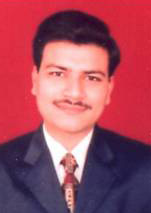 Dr. Sahil Raj is a faculty at School of Management Studies, Punjabi University, Patiala. His main area of interest is the application of information systems in business organizations. Prior to the present job, he has worked with Ranbaxy Pharmaceutical Ltd. He has done Engineering, MBA and Ph.D. Dr. Sahil Raj is regularly contributing research papers in national, international journals and presented research papers in national and international conferences. He has authored three books- Management Information System on Pearson Publication, Strategic Information System in Action and Modeling HR Information System (Co-Author). Presently, he is guiding research projects in the area of Artificial Neural Networks, Decision Tress, Fuzzy Logic, Business Analytics and Strategic Information Systems. He teaches in the field of Information Technology and Data Analytics. 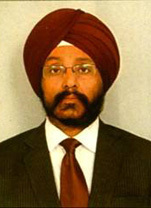 Dr. Amanpreet Singh is Assistant Professor with the School of Management Studies since March 06, 2009. 42 years of age, Mr. Singh is doctorate in International Business. He has eight years of industry experience. He teaches MBA and PhD program. His areas of interests are Data Analysis, Research Methodology, Marketing Research, Business Statistics, and International Business. He teaches in the field of International Business and Research Methodology. Dr. Parneet is Post graduate in commerce and doctorate in area of Banking. She also holds post graduate diploma in international business. She has more than 10 years of teaching experience and specializes in area of economics and international business. She has 7 research publications to her credit in national journals. She has participated and presented papers in national and international seminars/conferences. Eight students are pursuing doctoral research under her in the area of international business and economics. 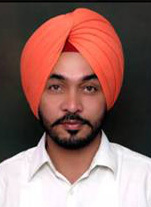 Harpreet Singh is working as Assistant Professor in School of Management Studies, Punjabi University Patiala, Punjab. He specializes in the area of Marketing Management and had qualified U.G.C. National Eligibility Test in 2009 in Management. 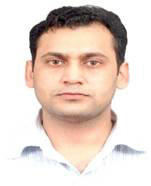 Harpreet is an MBA, MPhil and has done Diploma in Information System Management. He has about six years of teaching experience and one and half years of Industrial experience with IDBI and Kotak Securities Ltd. He has participated in Faculty Development Programmes and has attended several National and International Seminars. 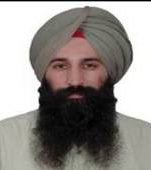 Harpreet is pursuing his PhD from Punjabi University Patiala in the area of Marketing Management. 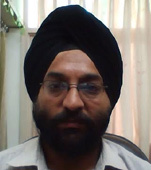 Mr. Singh teaches in the area of Marketing Management, Advertising and Sales Management and Marketing Research. Dr. Shavina Goyal is an Assistant Professor in International Business at School of Management Studies, Punjabi University, Patiala. She has an experience of around 10 years. 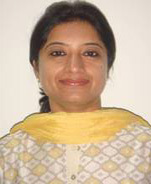 Before joining academics she has worked with Vardhman Pvt Ltd, Ludhiana as an export executive. She has been in academics for around 8 years now. She has presented papers in various national and international conferences. She has done her doctorate degree in the area of ‘expatriate adjustment’. Her areas of interest include international marketing, export management, strategic alliances and joint ventures, organisational behaviour and change management. 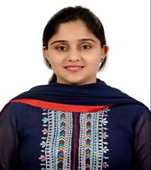 Ms. Azizinder Sekhon is working as Assistant Professor in School Of Management Studies since 2009.Her specialization is in the field of Human Resource Management. She has the teaching experience of general management papers and HR papers namely Management of Industrial Relations, Cross Cultural and Global Management and Management of Training and Development. She has also participated in several National and International Seminars and Conferences. She teaches in the field of Human Resource Management.